The Sigma 150-600mm f/5-6.3 DG OS HSM Contemporary lens offers very similar image quality to the Sports version at a cheaper price, whilst being much lighter and therefore more suitable for hand-holding, although it doens't feature the same level of weather-proofing. 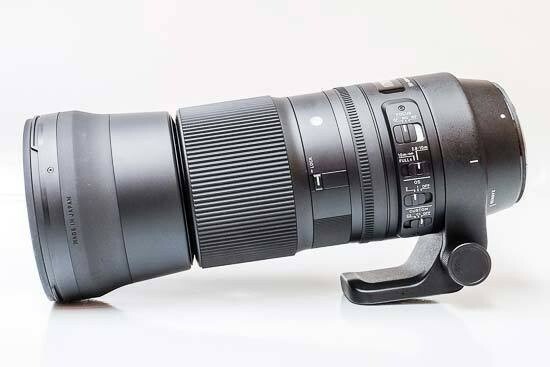 It's a close rival for the popular Tamron SP 150-600mm f/5-6.3 Di VC USD, with both lenses covering a very versatile focal range at a price that won't break the bank, although in our view the Sigma lens offers slightly better image quality. Build quality is very good, with the sober all-black design adding to the high-quality feel and the dust/splash-proof construction adding some peace of mind, plus there's a decent lens hood and padded case included in the box. Despite being nearly 1kig lighter than the Sports version, it is still a pretty heavy lens. Focusing was very quick on the Canon EOS 5D Mark III that we tested the lens with, and manual focus over-ride is a great feature, as is the effective built-in optical image stabilisation system. The Sigma 150-600mm f/5-6.3 DG OS HSM Contemporary is tack-sharp at both the centre and edges of the frame when stopped down by one-stop at all the focal lengths, with performance only really dropping off at 600mm. Obvious vignetting at wide-open apertures is the only other real optical issue of note, and this can be easily corrected in post-production.